Left: The MAN D2862 LE124 is actually used for agricul- tural engineering. Griffon Hovercraft now meet the cur- rent emission standards for marine applications. 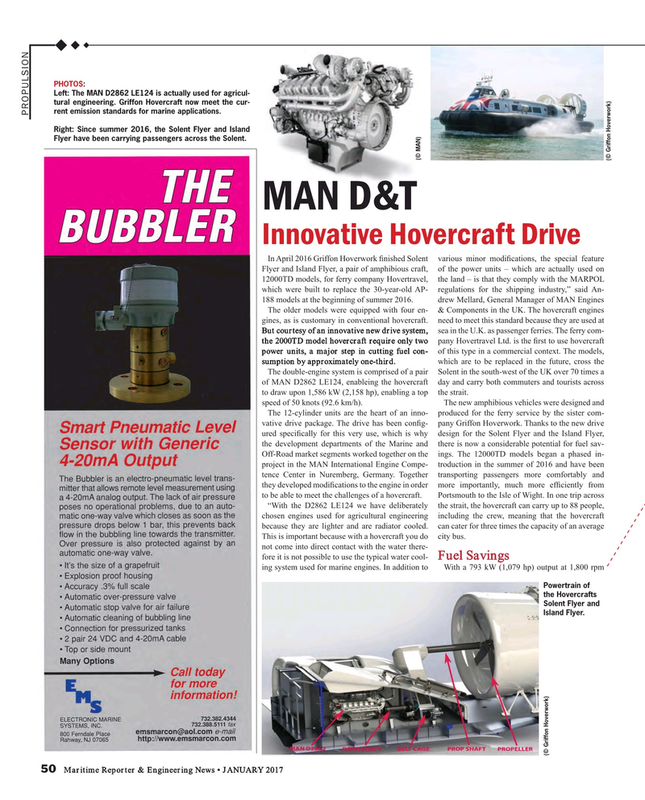 The double-engine system is comprised of a pair Solent in the south-west of the UK over 70 times a of MAN D2862 LE124, enableing the hovercraft day and carry both commuters and tourists across to draw upon 1,586 kW (2,158 hp), enabling a top the strait. This is important because with a hovercraft you do city bus.